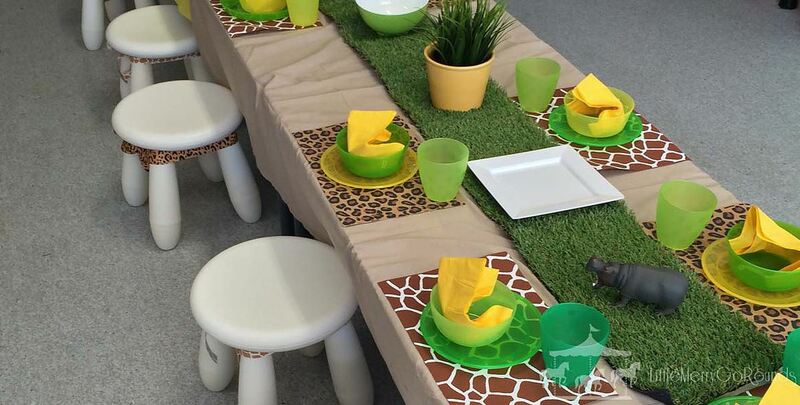 A safari themed party is a great Perth kids party idea. 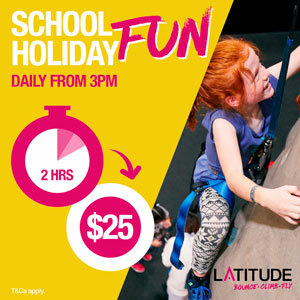 It's a good theme for both boys and girls and there are lots of party businesses in Perth that help you pull off the "wildest" safari party ever. Whether it be a WIldlife Safari, Jungle Safari or Zoo Safari party you want to throw here are some ideas to get your started. It's a safari party right so why not have real life animals as the stars of the party? Not only will they go well with your safari theme, kids will learn about and get to interact up close with a range of birds, reptiles, mammals and invertebrae - this one hour presentation by Critters Up Close will have them captivated. 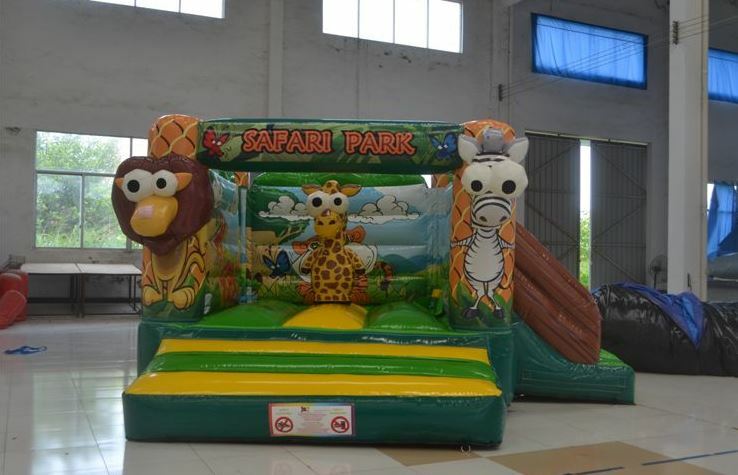 This safari themed bouncy castle from Perth Bouncy Castle Hire is perfect for a safari themed toddler or preschooler party and is designed and rated for kids 8 years and under and comes complete with a slide. Wow your party guests and perfectly decorate your garden, patio or lounge room in safari theme with a DIY package from Little Merry Go Rounds.This themed package includes table and chairs for 10 guests, tableware, hanging decorations and napkins and is available to be picked up Success (south of the river). If you like the idea of a DIY kit to take care of the decorating you can also pick up a Rumble Jungle Package from Organised Chaos. 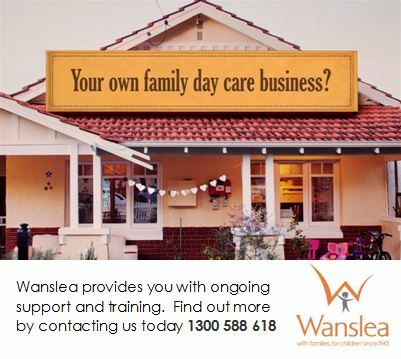 It's available for pick up in Lesmurdie, or you can contact them for a delivery quote. Now these ride on animals are not only perfect entertainment for a safari themed party, they are lots of fun and a great way to get kids active. These don't just roll by themselves, kids need to bob up and down to get them to go. Available in a range of different sizes (from 3years up to adult) and a range of different animals, you can contact Pony Cycles about hiring these awesome ride on toys to compliment your safari themed party. 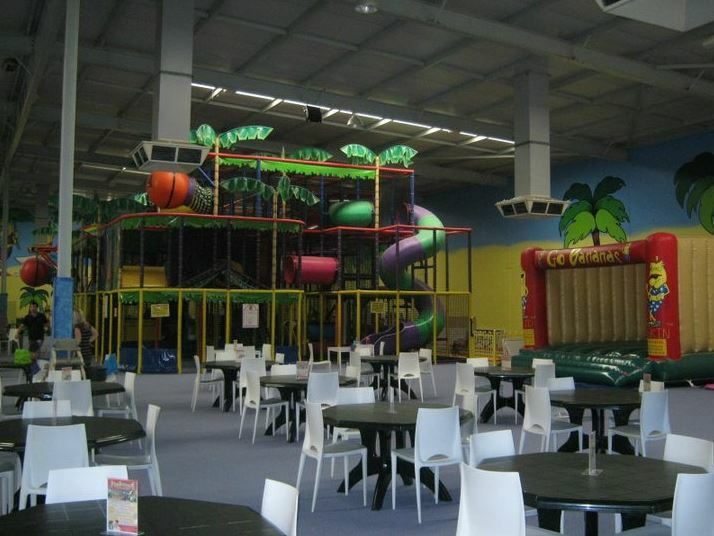 If you want it all taken care of without the mess at home the Jungle themed Go Bananas Joondalup is the perfect place to host a safari themed party. 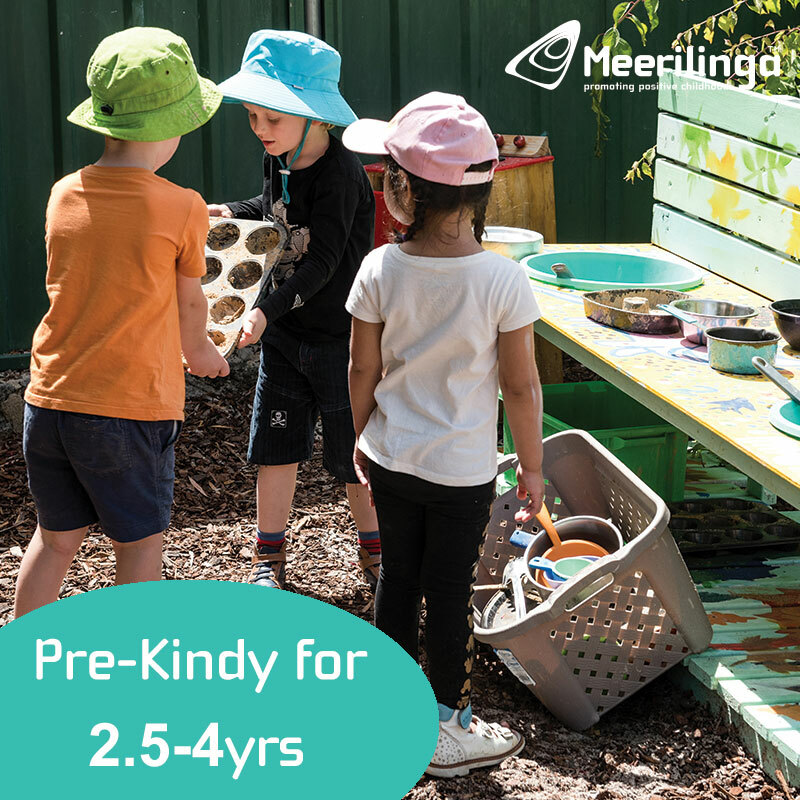 They have a range of packages that include catering and you can also have them organise parent platters for you. 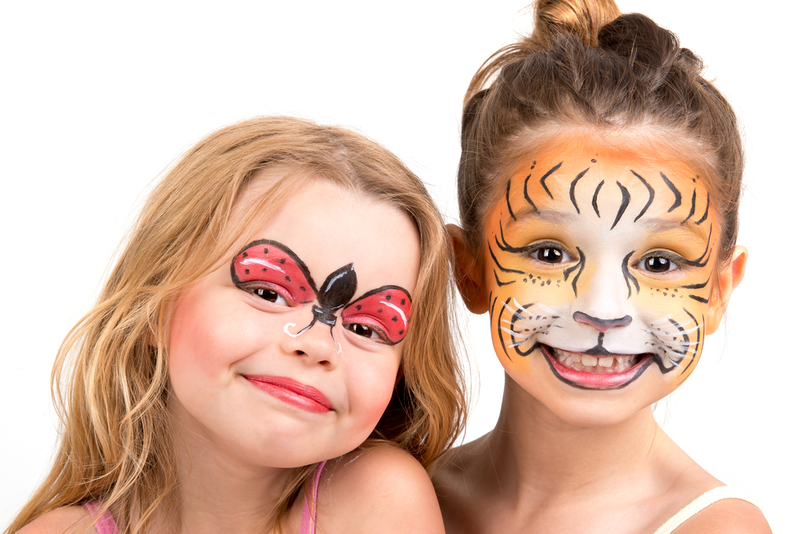 Let your party guests choose their favourite animal and have the talented Parties Kids Remember face painter bring their wish to life and turn them into their favourite animal. 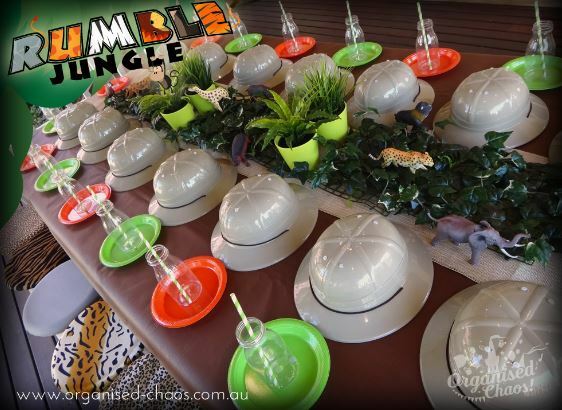 Whether you want to host your Perth kids safari party at home or out of the house, here are some great ideas for decorations, entertainment and venues so your guests can party like animals at the wildest safari party ever. 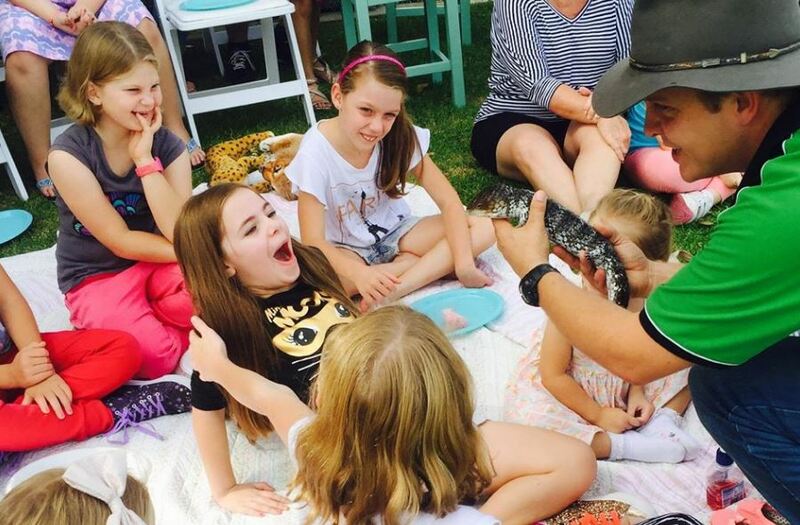 Remember we always love to see your pictures, so share your safari party pics with us using #kidsaroundperth.